Jane Francis Cross is an accomplished Charlotte agent who brings a strategic yet personable approach to the home buying and home selling process. Drawing from over 20 years of experience as a Charlotte Realtor, Jane has built a reputation for her refreshingly friendly customer care and proven ability to guide buyers to obtain the best value for their dream home and to assist sellers through a smooth, stress-free sale of their home. Her main intention is to understand her client’s needs and build a relationship that will last over the course of time. When orchestrating deals for her buyers and sellers, Jane is assertive and effective without being too aggressive. While she is a strong negotiator and advocate for her clients, she is just as much a compassionate, friendly, humorous partner who eases a process that can often be quite stressful. 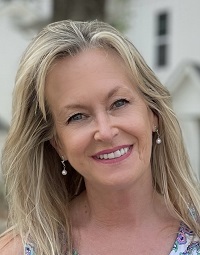 Being a Charlotte area Realtor since the 1990's, Jane has extensive knowledge of the different cities and neighborhoods across the Carolina's, from Lake Norman to Lake Wylie. She serves the entire Charlotte area and specializes in residential home sales, from buying and selling to include both resale and new home sales as well as luxury properties. As an experienced agent, Jane Cross understands that buying and selling is one of the biggest decisions in a client’s life and views representation and guidance of her clients through this process as a true privilege. Our home purchasing transaction was unique in that Jane represented both buyer and seller. This came to pass because we found the home of our dreams online, yet did not have our existing home on the market nor did we have a realtor to represent that sale. As a function of working with Jane on the home we wished to purchase, we quickly came to terms on her dual representation. I think the most impressive feat was that she was simultaneously able to support the negotiation of the property we wished to purchase while supporting the immediate need for us to market our home – and she did so with speed and accuracy. We won't hesitate to recommend Jane and her team to family and friends! Jane is by far the best realtor with whom we have ever worked. She and her team know the market well and helped us with every step of selling our home and then purchasing our new home. Jane was attentive to our needs while we worked through each step of the process. She and her team went above and beyond what we expected from a realtor, including referrals to different contractors, service providers, lenders, and others that made our selling and buying go more smoothly. We highly recommend Jane Cross and her team if you are looking to buy or sell anytime soon. We had worked with Jane for a awhile trying to find our perfect home in Charlotte long distance from Washington. She immediately understood the kind of house, neighborhood and those other intangible qualities we were hoping to find. She was able to point out the good and not so good points and help us determine if it was worth a trip out to see a listing (including taking videos of the area to help us understand it better!). When we finally found 'the one' she was so supportive and helpful with the buying process and we are so happy to know we made the right choice. I would whole heartedly recommend Jane. Jane helped us relocate and I'm so glad I did my research and chose to work with her. She was always available, organized, and has a great personality/sense of humor. She was extremely knowledgeable and coached us through the entire process. I need to look for another house to buy so we can work with her again! Jane is a fabulous realtor. She exhibits great customer service and exhibits integrity throughout the process. She invests an enormous amount of resources and time in the beginning (staging, marketing, open houses) and helped us pick the right price to get a quick sale at a competitive price. We recently worked with Jane and her team to sell our house and buy a new one. She is very knowledgeable, professional, friendly and easy to work with. 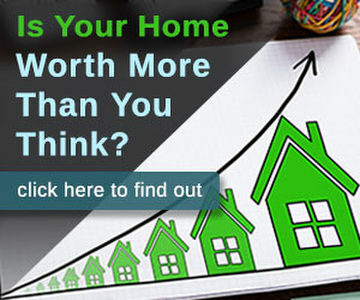 I was blown away by the analysis she did to determine the market value of our home...so detailed and thorough! Even in this competitive market, Jane was able to very quickly get us with the right buyer, then find the right house for us when we were ready to buy. It was almost too easy! It seems like she works some kind of real estate magic, but I think she really is just that good! In the process of selling and buying we had a chance to work with almost everyone on the team (Claude, John and Jodi). The entire team works to make you feel like you are their only client and to make the selling/buying process as easy as possible. I can definitely recommend Jane and her team! I have worked with many, many realtors over my 'many' years. I have got to say that Jane was working on my behalf from day 1. She spoke to me with honesty and clarity that others should aspire to. She listed my house and I signed a 3 month contract. That was the first thing I noticed. Every realtor in the past, has made me sign a 6 month contract. I was so impressed with her confidence that we would have that house sold within 3 months that a lot of my concerns began to immediately melt away. She kept me informed weekly about what was going on with the house, her marketing efforts, who visited, what they had to say and followed up with every possible lead. She listened and guided me with a patience that only someone who loves her job and working with people, could have. No question went unanswered. The house did sell pretty quickly. Her team was also instrumental with organizing and keeping everything and everyone moving in the right direction and a timely close. I am definitely a happy camper. We recently worked with Jane to sell our house in Charlotte. Jane was invaluable throughout the entire process, from having our house staged, professional photos taken, scheduling open houses, and selling it within a few days after it went on the market. We had an unexpectedly challenging close, but thanks to Jane’s professionalism and problem-solving abilities, we still closed right on time. We wouldn’t hesitate to recommend Jane if you’re looking for an agent! Jane is terrific. She is that very wise and insightful person you value when you are making important decisions. She was generous with her time as we were not able to come to town at the same time and she took each of us out (separately) to give us a crash course on Charlotte, while listening to our goals and objectives. She did a terrific job of setting up filters and tweaking them so that we were not overwhelmed with what was on the market and only had to look at listings that had the criteria that we were seeking. Jane responded to every message, question and inquiry we had in a timely and thoughtful manner. Post sale she remains committed. Anytime we want to get anything done, we always check with Jane to see if she will recommend someone. Because she has so many years in this area, she knows the-best-of-the-best and has been able to make the search for craftsmen and service providers a breeze. Everyone she has suggested has been terrific. 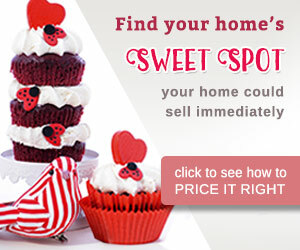 Jane takes finding the right property for her clients, personal and it shows. Jane is the best realtor in Charlotte! I never even considered any other realtor just based on her excellent reputation among locals. In January 2016, I left my home in her capable hands and moved 2300 miles away. Despite the horrible weather, my house sold within one week of being listed. Everything moved along smoothly thanks to her and her excellent team. I worked with Jane in buying my house. Jane knows peculiarities in the housing market very well. She understands advantages and possible problems of the houses, never pushed me along, but guided me so I could make an informed decision. She provided all the information I could have ever wanted and also was helpful in pointing out unknown facts. She is very patient, bright and open person. I highly recommend Jane. She is an excellent realtor. It was a pleasure to work with her.